Here at Hatch the request to work on a Saturday is unheard of. However, work is a loose term to use this week. Every day has been focussed on one of our internal values, and with this kind of intense self reflection paired with a little amount of sleep, comes some extreme exhaustion. So when we were asked to be awake by 6am, we naturally fumbled out of bed at 6:40, scrambling to get out the door to start our synergistic day. An overarching theme of Hatch week, was that we weren’t allowed to know what was coming next. And the last day was no different. We all got into the car and started driving in the opposite direction of home. We drove past Taupo, and arrived at our destination; Tongariro River Rafting. I guess retrospectively, I can’t think of any team activity that would represent our day’s theme ‘Synergy’ more aptly. 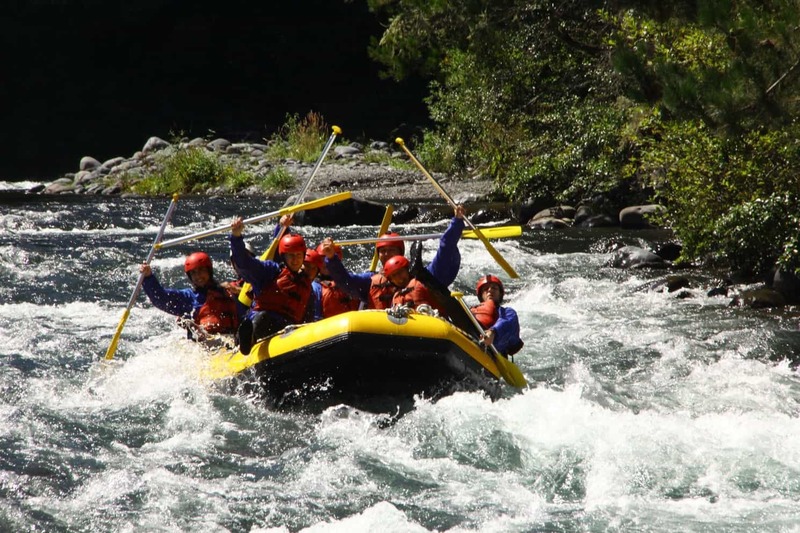 White Water rafting involves effort and coordination from everyone in the team, steering and weaving through rocks and rapids made for some great bonding, and some good laughs. After floating through the river and going over the safety briefing through a couple of starter rapids, we came across a rock, our instructor docked the boat, and we were set to jump into the (7 degree water) river from a scary enough height. Cody went first smiling and posing for the camera on the way down, followed by Roy, equally as enthused. Tallulah followed, then myself, I closed my eyes and just walked forwards. Coffee wasn’t needed that morning, after plunging into what felt like an ice cold river, everyone was wide awake, refreshed, and ready to take on the rapids. We forgot about how little sleep we had had all week. Over the next couple of hours we paddled left and right. Jumped over ourselves to make some sharp turns, slammed into the rock walls, and fell into the boat on multiple occasions (at least I did). Surprisingly no one fell outside of the boat, thankfully, not to say there weren’t any close calls. By the end, we were worn out, again, but in good spirits. After getting changed we sat down and discussed our plans for the rest of the day, after some suggestions from the rafting crew, we decided to head into Taupo for a round of Foot Golf. On the drive up we pulled onto the side of the road, to look over Lake Taupo, and to have a ‘synergistic’ team nap in the car. The nap continued for everyone else but Roy, who took over driving the rest of the way. To end our afternoon we played foot golf in the intense sun. Foot Golf, is just like regular golf, except you kick a soccer ball into a larger hole. Some of us were good, some of us learned, and some of us kicked their ball high up into a tree. We didn’t finish all 18 holes, instead we sat in the shade and had a chat about ourselves and how we relate to others. Keeping to that self reflective theme. We finally got on the road to head home, all of us exhausted, looking forwards to a long sleep in our own bed. We were on track to get home at a good time. 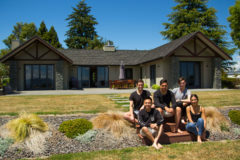 But shortly out of Taupo, after driving on a gravel road, the car was driving funny, so we pulled over to see what was happening, it turns out Cody had one more team building activity planned for us. Changing an (absolutely shredded) tyre. The space saver we had to put on the car, only allowed us to safely drive at 80km/h for the rest of the trip. The slow final haul to our own beds was going to take much longer than originally thought. But we made it, we got home ready to sleep a good 12 hours.